The B&R residential and commercial range consists of meter boxes for all states, group metering enclosures and commercial metering enclosures. A range of DIN Rail Enclosures including plastic covers, plastic and metal loadcentres from Australian manufacturer B&R Enclosures. This entry was posted in Commercial Metering, Metering, Product, Residential Commercial, Residential Metering on July 17, 2015 by Caroline Jones. 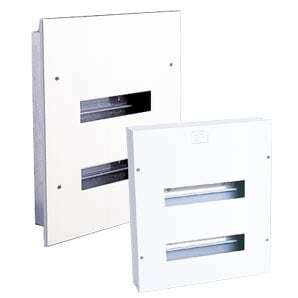 A range of metal surface and flush mounted DIN rail loadcentres for residential commercial applications. This entry was posted in Metering, Product, Residential Commercial, Residential Metering, Steel Enclosures and tagged Australian Made, Color 9016, IP30, steel on July 17, 2015 by Caroline Jones. 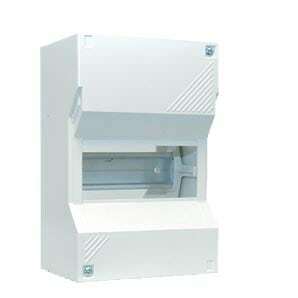 Robust surface mount plastic DIN rail loadcentre with hinged cover to protect control equipment. This entry was posted in 3, 4, Metering, Plastic Enclosures, Power Distribution Residential Commercial, Product, Residential Commercial and tagged 5, 6, 7, Australian Made, Color 9001, IP30, plastic on July 17, 2015 by Caroline Jones. An IP30, simple plastic cover for DIN rail control equipment including MCBs and RCDs. This entry was posted in 3, 4, Main Products Page, Metering, Plastic Enclosures, Power Distribution Residential Commercial, Product, Residential Commercial and tagged 5, 6, 7, Australian Made, Color 9001, IP30, Plastic Enclosures on July 13, 2015 by Caroline Jones. 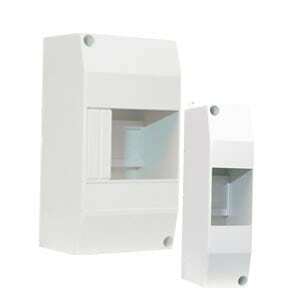 B&R Enclosures manufacture an easy solution for multiple tenancy sites for 4, 5 or 7 units. This entry was posted in Metering, Product, Residential Commercial, Residential Metering on April 22, 2015 by Caroline Jones. A range of metal enclosures suitable for domestic and light commercial metering installations that comply with TAS Supply Authority Rules and Regulations. This entry was posted in Product, Residential Commercial, Residential Metering on April 21, 2015 by Caroline Jones. 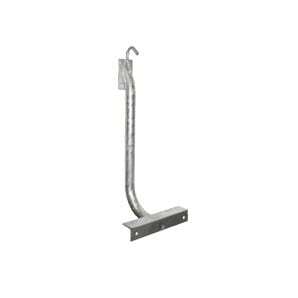 Raiser brackets are designed to be used as a point of attachment for above ground service mains to the premises. This entry was posted in Product, Residential Commercial, Residential Metering, Steel Enclosures and tagged Color Unpainted, NT, steel on April 21, 2015 by Caroline Jones. 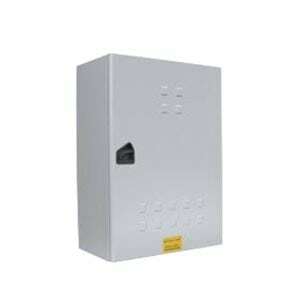 A range of metal enclosures suitable for domestic and light commercial metering installations.